In Florida, a criminal charge for “hit-and-run” comes with serious consequences. Florida law provides for many different versions of “hit and run” or “leaving the scene of a crash” depending on whether the crash involved unattended property or another occupied vehicle. Felony charges can be filed if the hit-and-run case involves personal injury to a pedestrian, another driver or a passenger in any vehicle. People sometimes leave the scene because they are worried about getting arrested for another crime such as DUI, reckless driving, driving while license suspended, or possession of a controlled substance or other contraband. Other times, a person just panics as the “fight or flight” instinct kicks in. Many people experience a rush of adrenaline and when that is combined with an injury from the crash, good judgment and common sense are the first thing to disappear. The Tallahassee Police Department has two experienced Hit and Run Investigators who conduct follow-up investigations of all hit and run traffic crashes reported throughout the City of Tallahassee. Florida Highway Patrol and local law enforcement agencies throughout Leon County and the surrounding areas also have specially trained officers who focus on nothing crashes involving a driver who left the scene. The attorneys are Pumphrey Law are familiar with the tactics used by these investigators. The attorneys are Pumphrey Law are familiar with the tactics used by these investigators in hit and run cases. If you left the scene after a crash without providing all of the required information, then you can be charged with a criminal offense. The investigation into that crime begins when law enforcement officers arrive on the scene. If any witness can identify the vehicle involved, then an officer will quickly ascertain who owns the vehicle and visit that person’s home or office. When an officer located the owner of the vehicle, the officer has one goal in mind – to get a confession. Without that confession- there may be no way to prosecuted the case or even have probable cause to make an arrest. Make no mistake about it, the law is often unforgiving when you leave the scene of a crash. You have the right to remain silent and the right to be represented by a criminal defense attorney at every stage of the case including during that time period after the crash but before the detective knocks on your door. You should never leave the scene of the crash until you have complied with all of your reporting requirements. But if you have already left the scene, then dealing with a criminal investigation for “hit and run” is usually not a good “do-it-yourself” project. If you are involved in a crash and left the scene, then contact an experienced criminal defense attorney at Pumphrey Law to help you. Our attorneys can also help you deal with your insurance company and the insurance company for anyone making a property damage or personal injury claim. We provide a full-service approach to your defense at every stage of the case. Let us put our experienced to work for you. We can begin your defense today. Call (850) 681-7777 today. After a crash that causes any kind of damage (to either unattended property or to another occupied vehicle), then you are legally required to stop and remain at the scene until you have provided all of the information required under Florida law. Different duties arise depending on whether the other property damaged was attended or unattended. Additional duties can arise if anyone involved in the crash suffers from personal injury, serious bodily injury or death. Florida statutes govern the “Duty to Give Information and Render Aid.” After a crash, you are required to give your name, address, proof of insurance and registration card to any interested person including the owner of the property damage or a traffic crash investigator. You must also show your driver’s license if requested to do so. Tip: Before you drive a vehicle, make sure you have an extra copy of your insurance card, registration, and driver’s license. That way you can show the original documents to the other person and then hand them a copy for their records. It is also important to take pictures of the crash scene before you move the vehicle, if you can do so safely without impacting other traffic. If the other vehicle or damaged property is unattended, then you must make an effort to locate the owner and leave your contact information in a written document that can be left at the property if you are unable to locate the owner of the property. If another person involved in the crash suffers from personal injury, serious bodily injury or death, then you have an obligation to give reasonable aid and make sure an ambulance is dispatched to the scene. Under Florida Statute § 316.062, if you fail to stop, remain at the scene, and exchange information following an accident that results in property damage, then you can be charged with a second-degree misdemeanor which is punishable by up to 60 days in jail or 6 months probation and a $500 fine. Under Florida Statute §316.027, if the accident resulted in someone suffering personal injury or serious bodily injury, then you could be charged with a third-degree felony that is punishable by up to 5 years in Florida State Prison and a $5,000 fine. The court can impose additional penalties including a driver’s license revocation and a requirement that you pay restitution to the victim in the case. Visit the website of the Tallahassee Police Department’s Traffic Enforcement Unit to learn more about the two “hit and run” investigators that conduct follow-up investigations of all hit and run traffic crash reports. Every officer with the TPD Traffic Unit is specially trained in traffic crash investigations. All fatal traffic crashes, as well as crashes involving serious injury, are investigated by these officers. The Traffic Enforcement Unit of the Leon County Sheriff’s Office investigates allegations that a driver has left the scene (often called a “hit and run” investigation). The Traffic Unit conducts follow-up investigations into “hit and run” crashes and traffic homicide investigations. Each deputy with the Leon County Sheriff’s Office receives training in vehicular homicide investigation. These officers conduct on-scene investigations, accident reconstruction, and other post-crash investigations which could lead to the suspects involved in automobile collisions which resulted in serious injury or death. The officers have a THI truck equipped with the latest Laser Mapping system and Photogrammetry equipment to help produce the accurate maps of crash scenes and assists in the reconstruction of crashes. If you were charged with any form of “leaving the scene” or “hit and run” then contact an experienced criminal defense attorney at Pumphrey Law. Our lawyers for criminal traffic offenses are experienced in fighting criminal traffic offenses, involving both felonies and misdemeanors. We represent clients in a wide range of criminal traffic offenses such as DUI, reckless driving, driving while license suspended or revoked, no valid driver’s license, and leaving the scene of an accident. We work hard to protect you after a criminal investigation begins. Never leave the scene until you have provided all of the required information. But if you did leave the scene, hire an experienced criminal defense attorney to help you. Call (850) 681-7777 today to discuss the case. 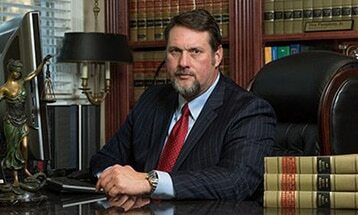 Call (850) 681-7777 today for a free consultation with a lawyer.